Atlas Team, the organization committee of 6th "Rally Greece Offroad", starts working for a totally reformed event compared to previous years. New places, new routes, new race setup, upgraded level of organization, safety and hospitality. All these following the experience of the last five years and the proposals for improvements given by competitors and team managers. "Our goal is to attract many more competitors from many more countries and Rally Greece Offroad to become an unforgetable memory for all," the organization announced. The event will be held from May 17th-20th and is open for Cars, SSV, Quads and Motobikes. The entry-fees: 1,600 EUR Cars/SSV for new competitors / 1,450 EUR Cars/SSV for those who competed before and 950 EUR for Bikes Quads during the early bird period until March 31st, 1,750 EUR (new) and 1,600 EUR (old) in Cars / SSV and 1,150 EUR after the early bird until May 11th (fees does not include accomodation and dinner). The West Macedonia Region and city of Kastoria will be the center of action for the 6th edition of Rally Greece Offroad. After four years in the magnificent city of Florina, Organization Committee decided to re-allocate the race center to Kastoria. Florina (previous race center) and Kastoria are neighbor cities. "In 2018 we will present new format of race giving a preference to longer Special Stages making competitor's endurance more critical for the final results," announced the organizer. 30 competitors in the SSV and Cars from Israel, Italy, Bulgaria, Turkey, Greece and Romania competed in the race in 2017. This year, for the Israelian participants, there will be a presentation and pre-scruitineering in Israel at Gatos 4x4 Offroad Services in the near of Tel Aviv (Link under this article). 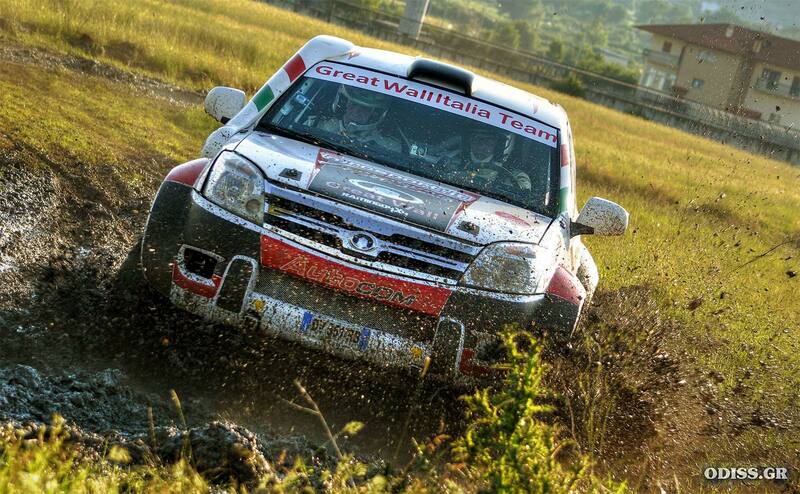 From Italy there will be again the famous "Rally Art Italy" Team of Renato Rickler: "Rally Greece Offroad becomes every year more prestigious and international event where strong teams challenge for victory," said the Italian.